Explore how our plastics can be used in lighting systems. As the lighting industry grows and continues to shift towards increased lifetime and higher power requirements, so too does the need for greater material resistance against extreme heat and light. Some traditional plastic packages are prone to degradation of the plastic package. But not with DSM's high performance plastics. 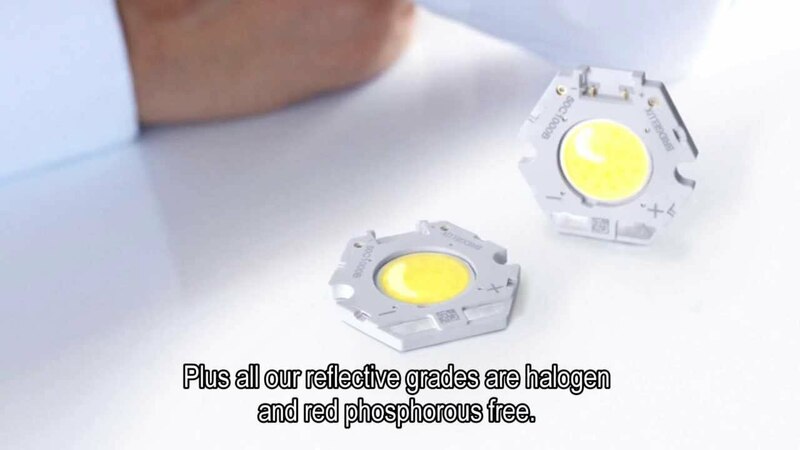 Their extreme high reflectivity levels and heat ageing properties combined with mechanical strength enable more efficient LEDs with longer lifetimes, leading directly to significant savings in energy, product lifetime, cost and carbon emissions. Our plastics portfolio also integrates LED applications in automotive and consumer electronics with backlight display units (BLU); and all this is supported by specialist DSM support in LED socket design to ensure not only high output and durability, but also greater efficiency through improved heat management. For a more traditional lighting applications, we also offer proven materials that add value to your lighting applications and help to reduce carbon footprint. We support the lighting industry with an experienced team of experts, all over the world. Light emitting diodes, or LEDs, are rapidly taking their place in all forms of lighting from reading lamps and to TV screens, through to automobile and street lighting. LEDs are setting designers free to create concepts that consume less energy than conventional light sources. We have Stanyl® ForTii™ and Arnite® as a material solution for reflective LED applications. Both in high temperature applications where materials have the resist the harsh environment of the reflow oven, as in medium temperature applications where the critical requirement is the long term resistance to the heat and radiation of the LED, breakthrough solutions are now available.